Once again, be ready for the unpredictable. 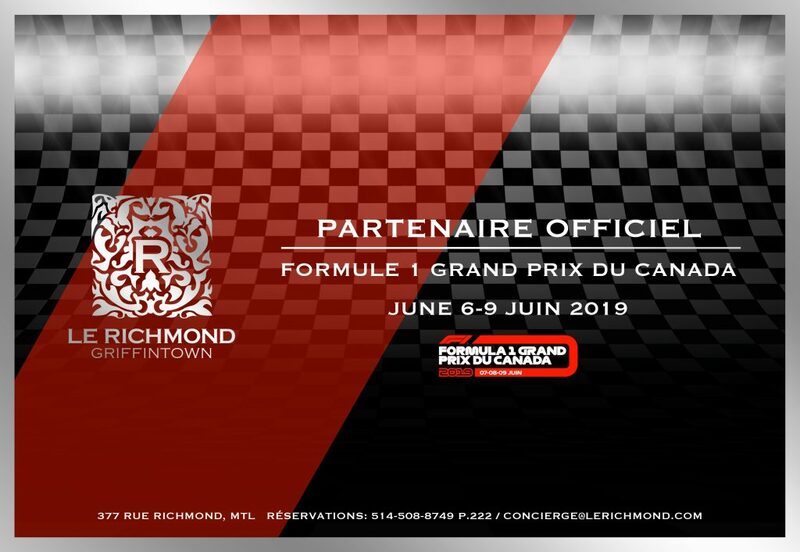 Le Restaurant Le Richmond teams up with the Formule 1 Grand Prix du Canada as an official partner to transport you to a world where elegance, fantasy and gastronomy fuse under the same roof. Making our dreams come true so we can continually reinvent ourselves and make you discover our craziest imaginations! Take place and get carried away by Le Richmond experience.